With 2014 now in full swing, plans for the centenary are gathering momentum. While UK politicians cement our fear that any real perspective on this horrific debacle must be dismissed as a bunch of bally-hoo, we are gathering in our finished artwork in readiness to prove them wrong. We are also planning some exhibitions to coincide with the release of the book and the start of the centenary. This not only gives people an opportunity to cast their eyes upon the incredible work of our contributors, but will hopefully provide an insight into the possibilities of a vast medium often dismissed as disposable kids stuff. 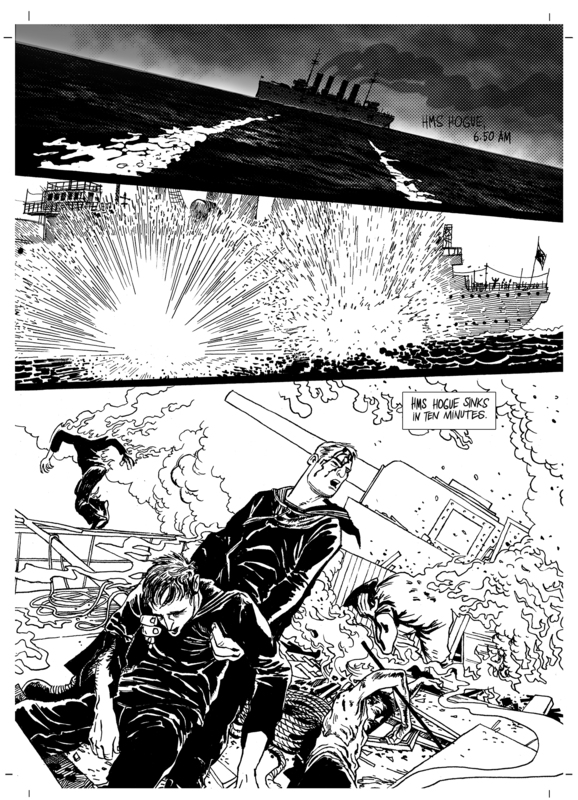 A fine example of this would be some of the most recent pages from TEAW. We are nearing the finish line for final art, and are very excited to finally have the finished cover in our possession. 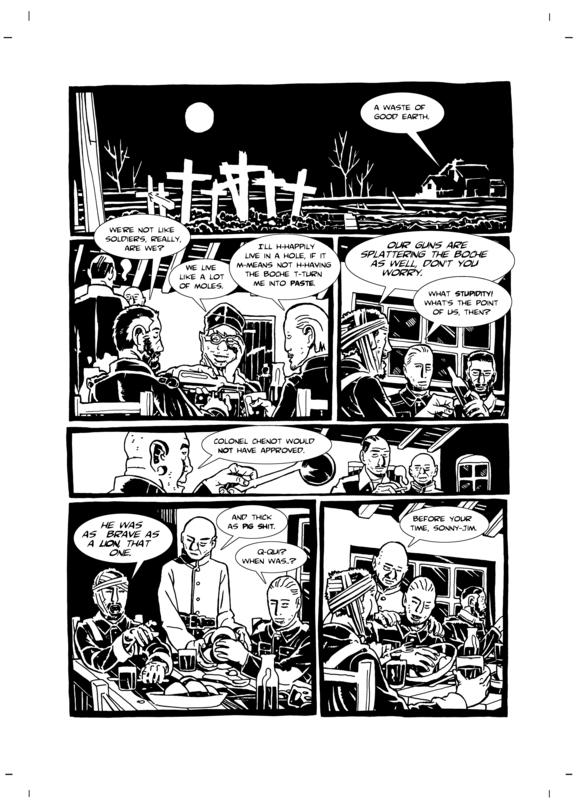 Painted by Lizzy Waterhouse, it is her first foray into any kind of comic art, and the editors take their entire hat collections off to her homage to WWI war artists. The cover is a wraparound and draws attention to the many facets that made WWI the hell on earth it should be remembered as. For now, here is a look at the front. 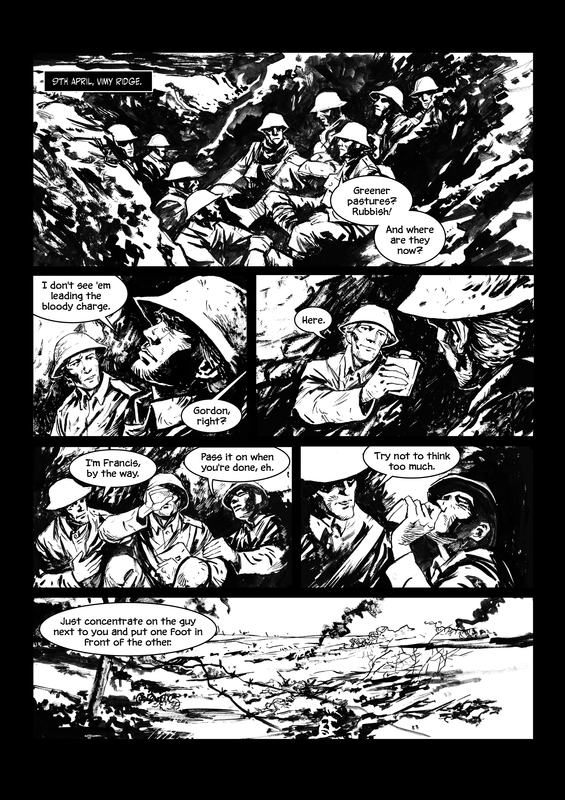 This week has seen TEAW make it’s way onto the Amazon pre-orders and we’ve also had an article on the development of the book featured on British comics site downthetubes, as well as on the Charley’s War page. Many thanks to John Freeman for putting us out there. You can find the featured articles and pre-order your copy via the links below. 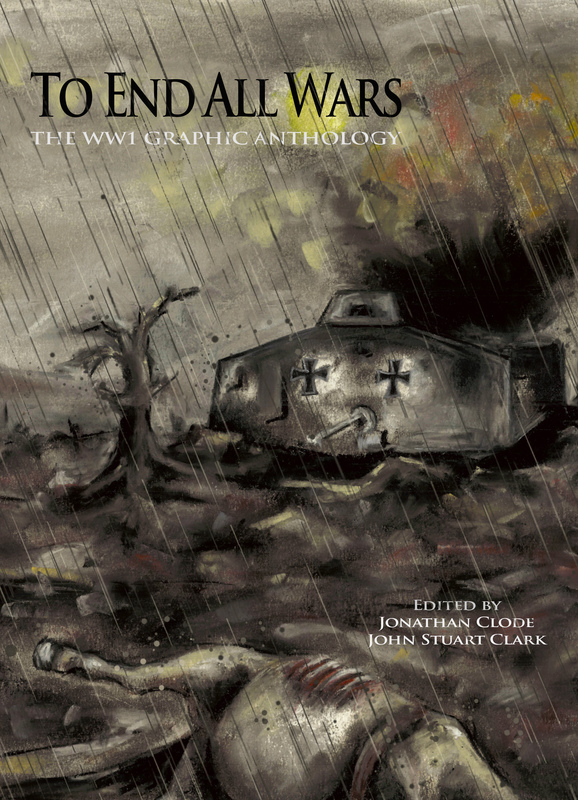 And so we find ourselves in 2014, 7 months away from the centenary and the release of our anthology. It’s almost impossible to think that it was this time last year that the concept of TEAW was cast out into the ether. Twelve months later and there are 26 finished stories gradually trickling their way to us, and a stunning cover we can’t wait to share. 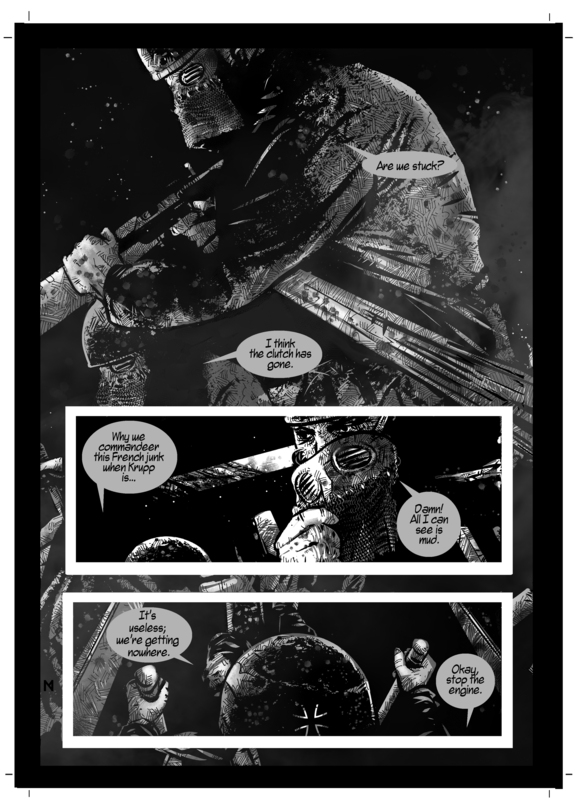 Until then, you’ll have to make do with a few more examples of the incredible finished pages our contributors have worked so hard on. Oh, and Happy New Year!